It is rare to find dining establishments that sell only popcorn. Most restaurants today tend to offer a variety of interrelated products or menu items in order to maximize sales. 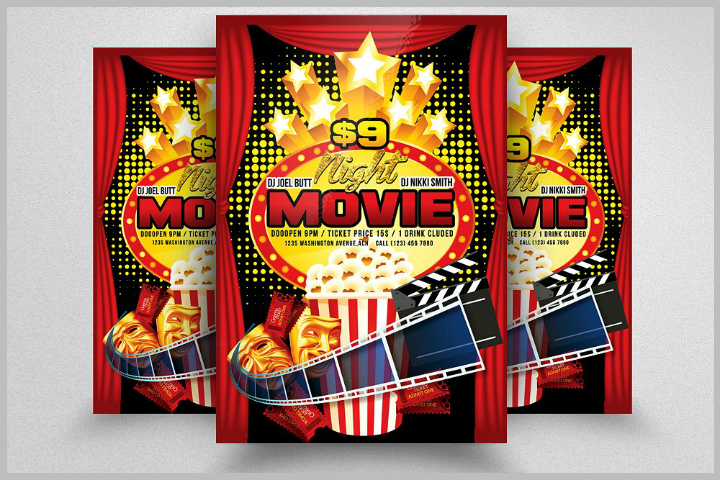 Movies houses, snack bars, and fast food chains are examples of these thriving businesses. 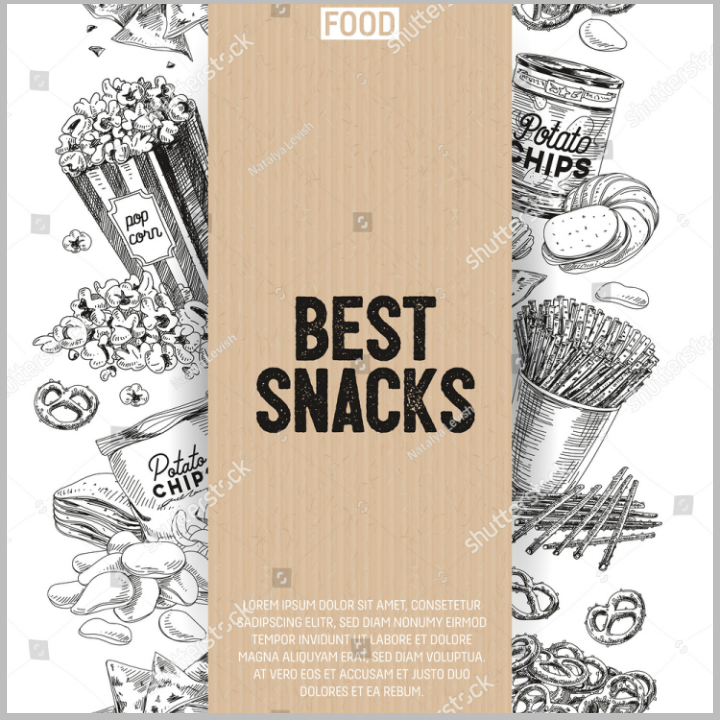 So, if you are operating this kind of food business and you want to make sure that your food menu stands out and entices your customers to order more, try out redesigning them using the beautiful popcorn menu templates. 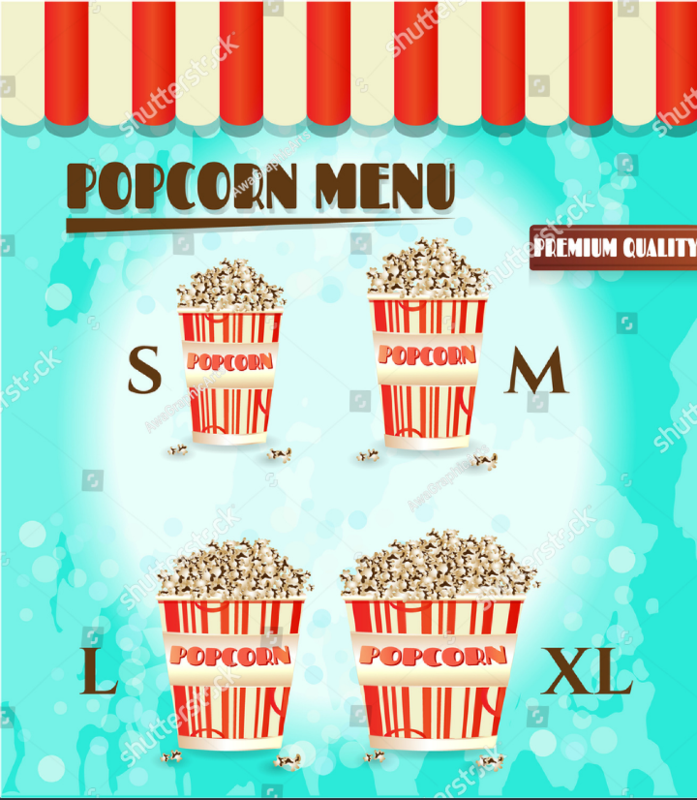 In this article, we have provided multiple examples of popcorn menu templates that anyone can download and edit from the comfort of their homes. Plus, we will also share more information on how to use and personalize these printable templates. Embedded below are downloadable popcorn printable menu templates that any restaurateur can purchase and download. Use them to help distinguish your store’s popcorn menu from your regular restaurant menu and also in spreading your restaurant’s unique branding elements. What are Popcorn Menu Templates? Menu templates are digital files that store organized text and graphic design elements to form a menu card. 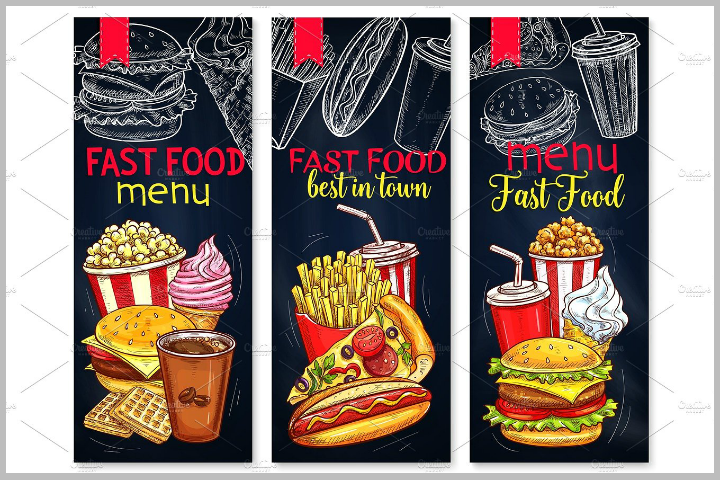 And, when a menu template is specifically created to showcase (or at least include) design elements depicting a popcorn or similar kind of fast food, it is called a popcorn menu template. 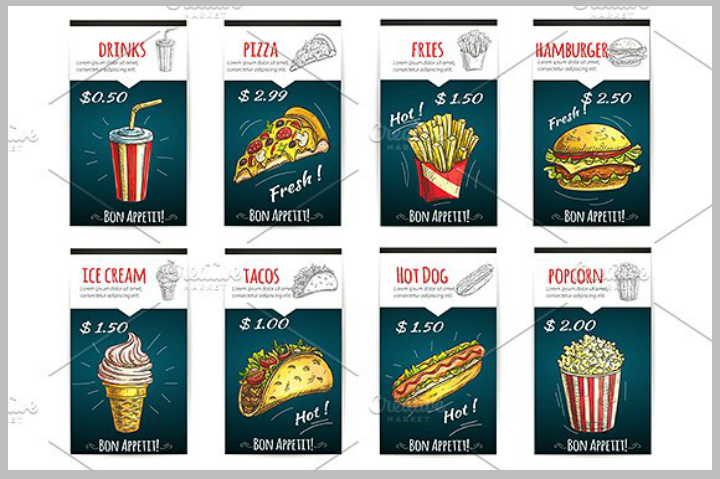 Just like other kinds of restaurant menu templates, popcorn menu templates may be printed on any kind of paper or cardstock. They also have varying sizes depending on the preference of the restaurant owner or manager. Most pre-formatted menu templates can be customized by its end-user and printed out from the comforts of their home or office. 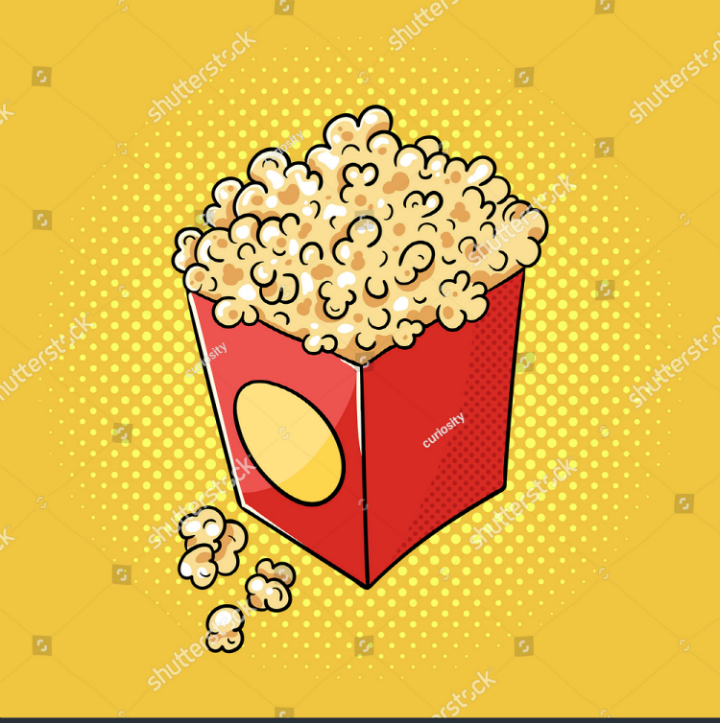 Also, remember that if you intend to make changes to a popcorn menu template, you will need to use a compatible graphic design software program (like Adobe Photoshop or Adobe Illustrator) to open it. If you are not familiar with these software programs, you may search for free Illustrator and Photoshop tutorials online. Why Use Popcorn Menu Templates? As we have mentioned earlier, creating a separate popcorn menu for your restaurant can be a good way to separate your business from your competitors. So, if you have decided to try out this business strategy, you also first have to choose a method on how your popcorn menu will be created. There are two main ways to create a popcorn menu. The first method is done by creating a menu card by hand. A handmade card design often gives off a more unique and creative vibe. However, they may take a lot of time to complete. The second method is through the use of pre-formatted popcorn menu templates. 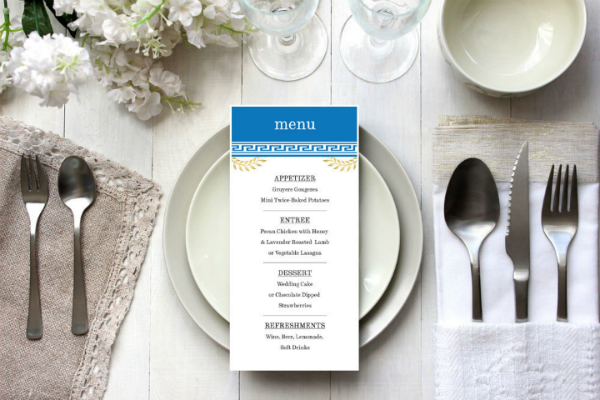 With a pre-made template, all you have to do is add your restaurant’s menu details into a digital template design you have chosen and then you will be ready to print out the template. Depending on your personal preferences, your restaurant’s brand image, your crafting skills, your business’ fiscal status, and other factors, you are free to choose whatever card-making method suits your brand best. To help you make that decision, we have listed below a few advantages that you get to enjoy if you decide to choose the pre-made template route. Read through them so that you will be convinced on using printable menu templates instead. A popcorn menu is typically used by food stands, movie houses, and fast food stalls that, obviously, sell popcorn. These types of dining establishments often operate with limited funds and thus making the creation unique restaurant stationery designs, not a priority. So, if you own this kind of dining establishment but still want to promote your restaurant, you may try out using affordable marketing options in the form of pre-made menu templates instead. 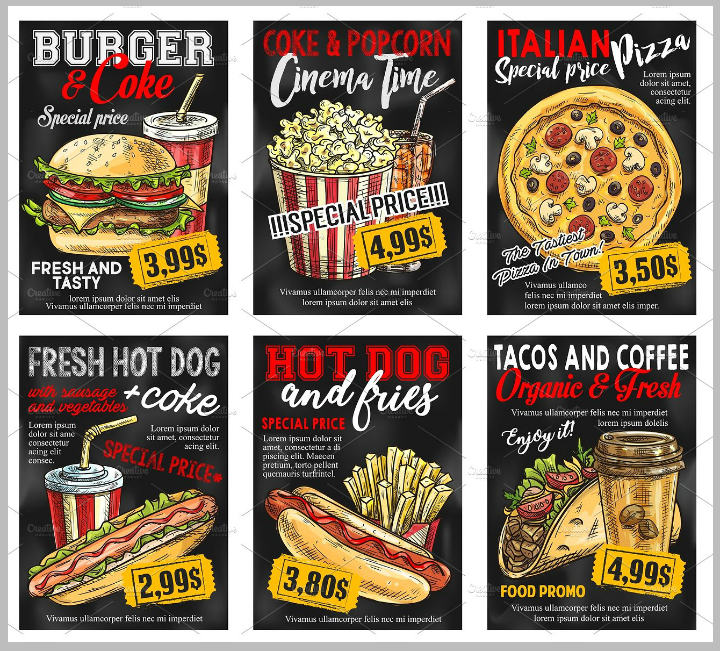 Popcorn menu templates, just like different forms of restaurant templates, are priced much lower than personally hiring a graphic designer to create your restaurant templates designs. This makes it relatively easier to create a uniquely designed menu card for your dining establishment. You get to promote your popcorn products without having to spend a fortune on advertising. 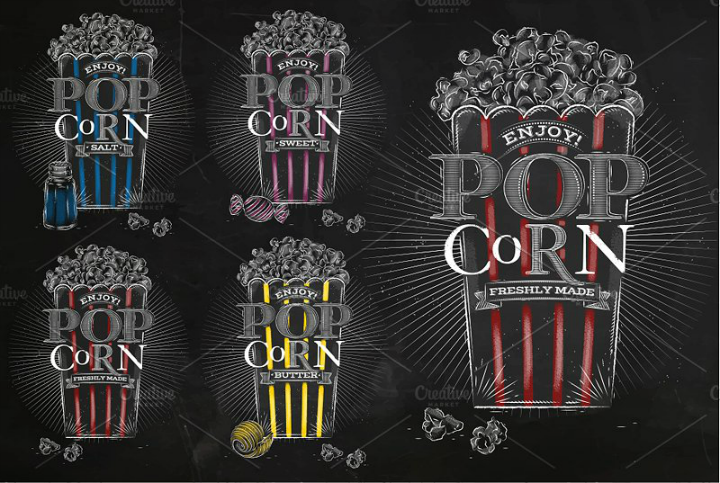 Another advantage of using popcorn box menu templates is that they often come with different customization options. This gives its end-users the much-needed creative freedom to transform a base template into something truly original. If you are a business owner who values your own restaurant’s image and the need to show transparency as your company policy, you should look for menu templates that offer this flexibility in editing. 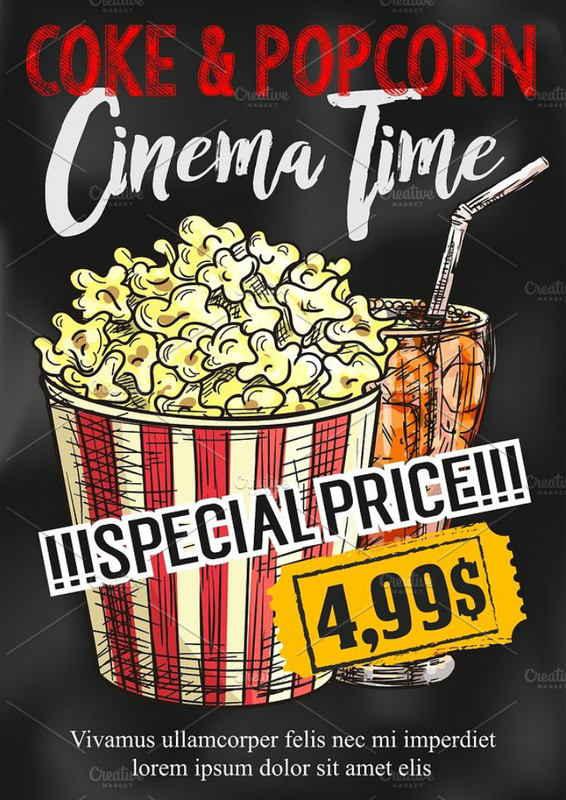 On the other hand, if you do not have ample experience in graphic design or editing, you may still choose popcorn menu templates that can be edited by the template’s original creator. This option is often available in online marketplaces like Etsy. So, make sure to search for menu templates on the site if you do not have enough time or knowledge in editing a pre-made menu template. You may also like sample menu designs. 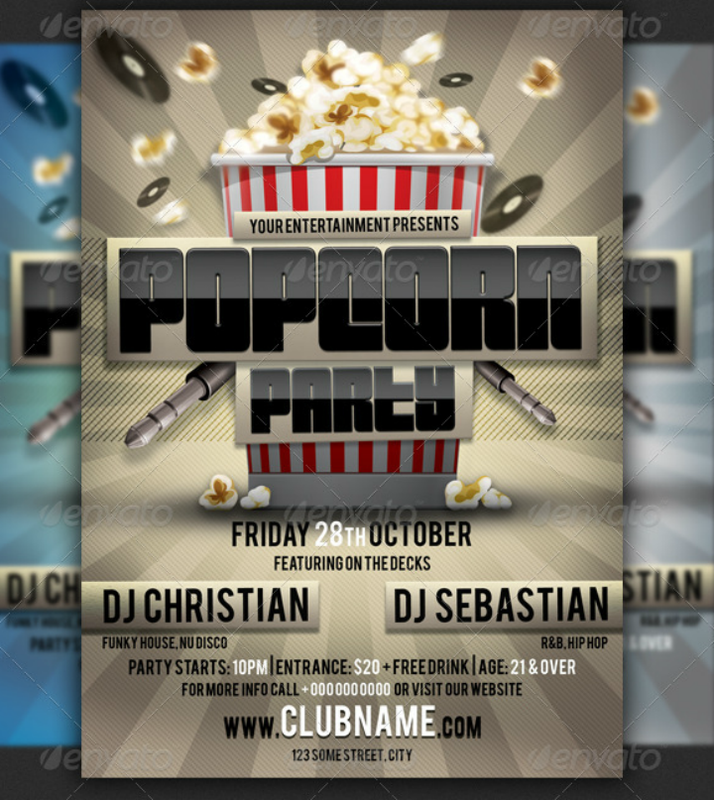 As briefly mentioned above, you may use popcorn menu templates if you wish to further improve your own graphic design and editing skills. Yes, you can surely learn the basics of graphic design and editing through Photoshop and Illustrator tutorials online. However, nothing still beats hands-on experience. When you repeatedly expose yourself to different kinds of graphic design projects and with different kinds of pre-made templates, you will gradually learn what works and what does not. Through time, you can build upon this knowledge and complete a restaurant graphic design project on your own. You may also see restaurant menu design templates. If, being able to create your own truly original restaurant menu templates is your goal, use this opportunity to customize a simple popcorn menu template as the first step. Learn as much from the entire process and your skills will improve over time. Pre-made popcorn menu templates (just like other forms or printable card templates) come with a pre-set format and layout. This makes it easier for the template’s end-users to personalize the template after purchasing them. In most cases, these templates will also different printing options that the end-user can choose from. So, if you intend to create different versions and/or sizes of your restaurant’s popcorn menu cards, it only makes sense to use a pre-made popcorn menu template. This way you do not have to go back to the drawing board each time you need a different print size. You can easily use the same template and just need to simply input your desired printing size. Modern software tools can easily allow this change in print size while making sure that your menu template retains the same image quality. Pre-formatted menu templates are often preferred by those who have a limited time to complete a graphic design project. 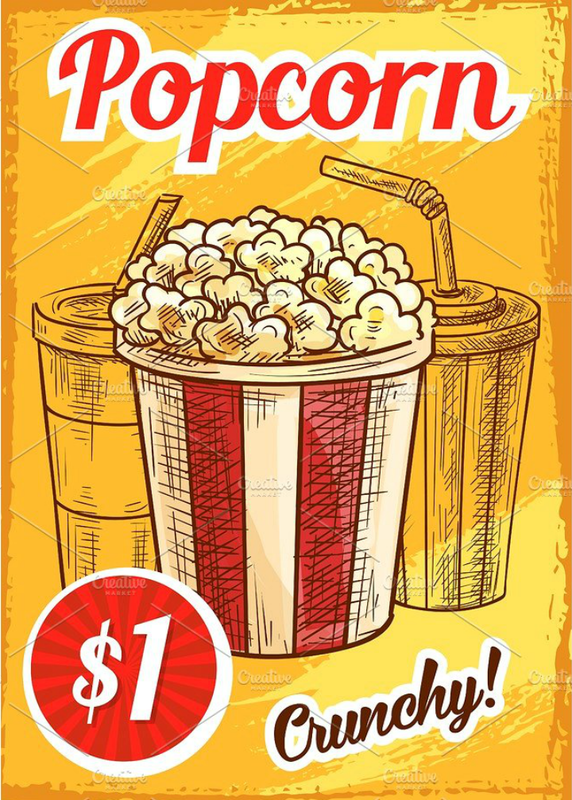 So, if you are looking for a way to quickly find and create a menu card design for your own popcorn stand or store, look no further and use popcorn menu templates instead. With these pre-made menu templates, you do not have to design the entire menu template from scratch. The template’s creator has already done that for you. All you have to do is to fill out the different text and image placeholders on the template layers. And, after reviewing the template for typographical errors and fact-checking, you are ready to print the template. You may also see lunch menu templates. Amazingly, all of these steps can be done within a single day. 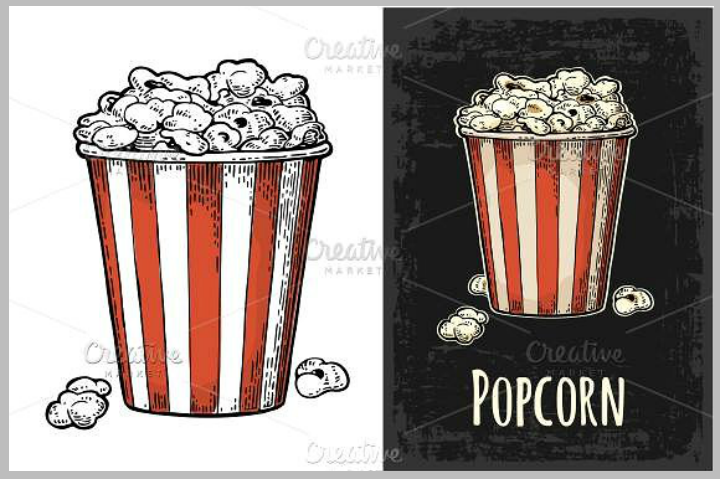 So, if you are in a hurry, choose any of the popcorn menu templates found within this article, download it, make a few edits to personalize it, and bring it to your local print shop for printing! 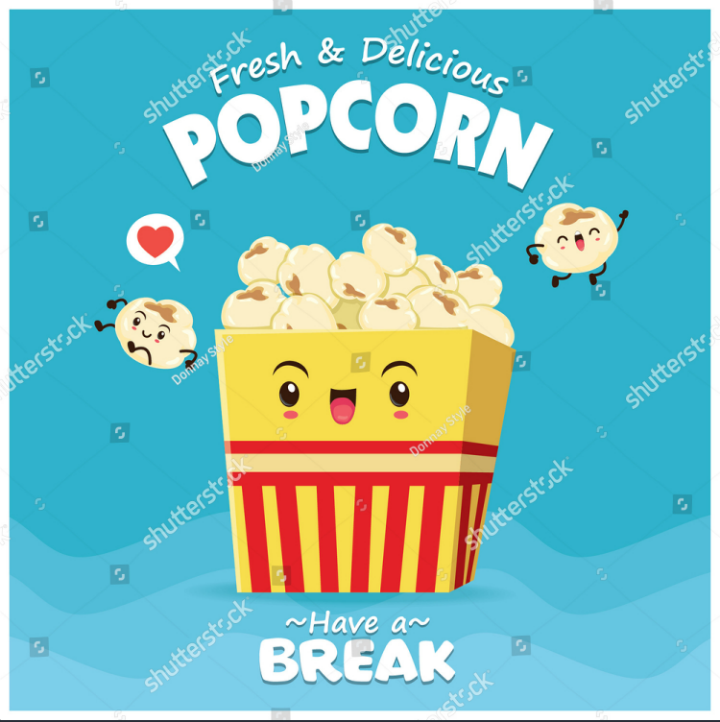 Lastly, another good reason why you should use popcorn menu templates is that editing them may be a form of stress relief. This may not be true to most people but there are individuals who thrive when then they do creative work in front of the computer. As a restaurateur, you will surely be busy with running your dining establishment. That is why it is useful to find little ways that can help you de-stress. You never know, editing pre-made menu templates may be the one for you. You may also see vintage menu designs. The different reasons for using popcorn menu templates listed above may not all apply to everyone. 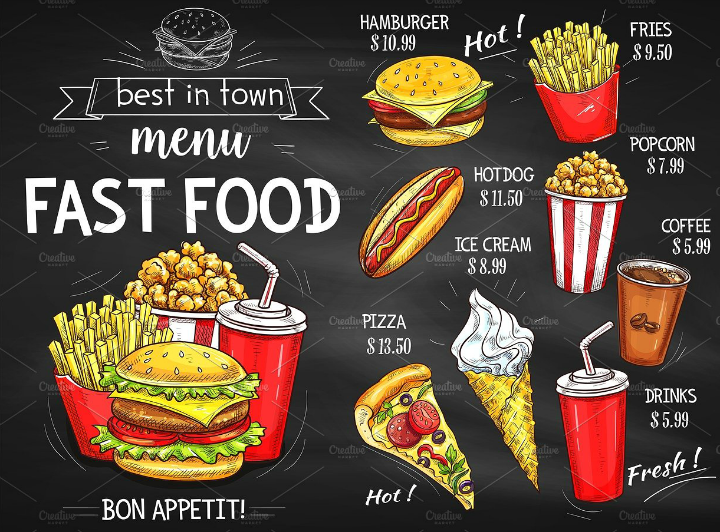 Use them as a guide to help you make the right decision on how you can create the best popcorn menu list template for your store or dining establishment. Have You Chosen a Popcorn Menu Template? 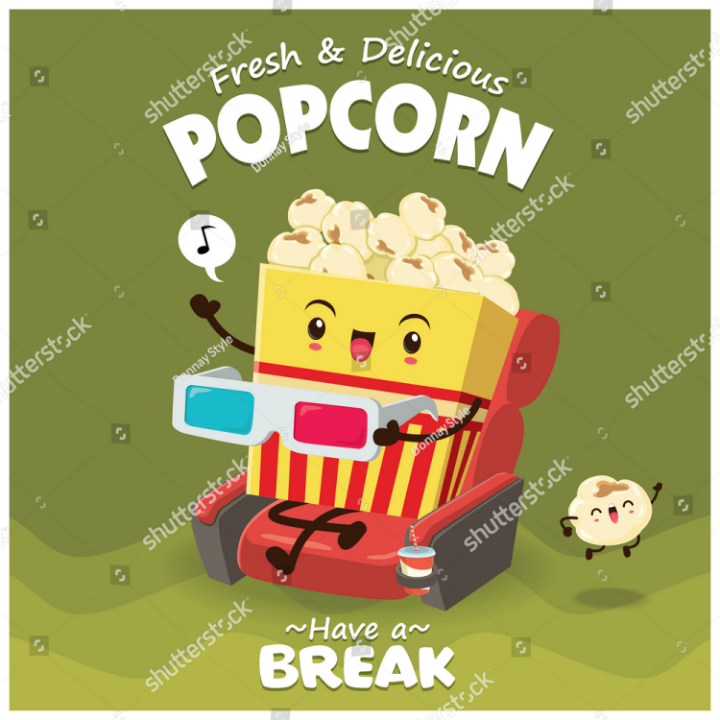 This article is filled with different vector illustrations and templates for creating a popcorn menu card. Choose the template/s that best appeals to you while also making sure that the template design complements your business’ branding identity. When you have factored in all those things in your decision-making process, you will truly have a winning popcorn menu card design. Also, help spread the word about this useful article on popcorn menu templates by sharing it on social media!